There have been numerous branding blunders and you can read about some of them here but rarely does Singapore Airlines feature. Singapore Airlines (SIA) consistently leads the industry in profitability and manages to ride out turbulent times better than most in its class. It has always been aggressive, acquiring aircraft and expanding its fleet quickly, in 1979 it set a record at the time, when it traded relatively new aircraft for an updated version of the B-747 for a then record of S$2.2 billion. SIA also differentiated itself early on with its adoption of the Singapore Girl as the face of the airline and service as the unique selling point. But the world of today and the world of the 1970s are very different. The 1970s were the halcyon days of the mass economy. In the mass economy, with its mass markets and mass media, perhaps a little bit of help from the government and a large dose of nationalism. And by broadcasting the same message to large audiences who had limited sources of information, it was a lot easier for an airline to establish a brand. More of this and more of that and better this and better that or bigger this and bigger that coupled with large advertising budgets worked well. As competition increased, consumers became more segmented and media choices fragmented, like many other industries, airlines turned to positioning as a strategy. Positioning consisted of creating a position in prospects minds that reflected the strengths and weaknesses of the offering as well as those of competitors. Ideally, this position was based on being first in a particular category. If someone was already first in a category, then companies attempted to redefine themselves in a new category to be first. In the airline business, this tended to be related to passenger comfort or service. The effectiveness of positioning depended on the ability of advertising to drive branding perceptions in the mind of consumers. To do this, airlines often made promises they were unable to keep (admittedly, often due to third party issues out of their control), failed to meet traveller expectations, often because dynamic competitors moved quickly and so raised the bar, which in turn led to brand disillusionment. Positioning was ideal for the mass economy. It was also ideal for advertising agencies and marketing departments because it gave them enormous power without the responsibility of accountability. Al Ries and Jack Trout invented the concept of positioning. The preface to one book states, “Positioning has nothing to do with the product,…. (it) is what you do in the mind of the prospect.” So, essentially this means that the consumer can be made to believe, through extensive advertising and PR in the right conduits to consumers, and other vehicles, what an offering means to them. When Airbus announced it’s super plane, the Airbus A380, ever aggressive, SIA was one of the first to sign up and the first A380 delivered was delivered to Singapore Airlines on 15 October 2007. It entered service on 25 October 2007 with an inaugural flight from Singapore to Sydney. Passengers bought seats in a charity online auction paying between US$560 and US$100,000 for seats. Understandably, the new aircraft, a clever publicity stunt and an inquisitive general public, generated a lot of media coverage and by the end of February 2009, a million passengers had flown with Singapore Airlines on the A380. But the majority of those passengers are flying economy. The problem has been getting passengers to use the suites, positioned as, “a class beyond first.” When the new A380 service was launched, in the way that has always done, SIA used global TV, print and online advertising and PR campaigns to launch the new A380. Beautifully executed TVCs were developed for the Suites by a top advertising agency using taglines such as “your own private bedroom in the sky”. Other taglines included “an unprecedented level of privacy” in a “cabin unlike any other”, and sleeping on a “standalone bed that was not converted from a seat”. Givenchy Beddings (and pyjamas) Ferragamo toiletries and Krug or Dom Perignon were also part of the deal. But despite a unique product, some slick marketing based on a huge investment in a one-size-fits-all message to mass markets using mass media, consumers and corporations haven’t bought into it. Why not? One of the reasons could be that SIA didn’t talk to customers and prospects about what they might want from such a service, and, more importantly, how much they would be preparred to pay for it. In fact, it appears that SIA didn’t even engage with members of its Frequest Flyer Programme. SIA simply went ahead and developed the product and then, in a traditional 4 Ps (product, price, place and promotion) and positioning strategy, tried to sell it. To make it even harder for themselves, and despite charging a premium of more than 50% over the first class fare, SIA would only reward loyal members of its Frequent Flyer Programme (FFP) Krisflyer with 10% more miles than a regular first class ticket! Moreover, any redemption of miles could only be for economy, business or first class and not for the Suites! According to Shashank Nigam, “Several HR departments of companies, including civil service departments in Singapore, issued circulars or directives stating that “Since the Singapore Airlines Suites are a class beyond first, officers who are usually eligible for First Class travel will be ineligible for Suites”. So by now, SIA had upset its two most important customers, its own government and elite members of the frequent flyer programme! In 2008, as the economic crisis began to take hold and suite sales nosedived, SIA maintained its pricing strategy, making it even harder for financial institutions, already under scrutiny for lack of risk management, to justify such extravagance. Another reason for the poor response is probably related to the ground experience. Although positioned as a class beyond first, elite passengers were expected to use the same check-in facilities as passengers travelling in first class, the same lounge and essentially, the same food as first class passengers. By the middle of 2009, SIA was feeling the heat on a number of fronts. The economic situation gripping the world caused international premium passenger numbers to fall by 18% year on year in the first 10 months of 2009. At the same time, premium revenues dropped by up to 40% over the same period (IATA). Another challenge was from competitors such as Emirates and Qantas who don’t offer Suites but do have exceptional first class experiences including cabins on their A380s that feature a Bar and bathrooms with showers, limousine transfers at departure and arrival (not available to SIA passengers, even those using Suites). SIA scrambled to recover some marketshare. The first incentive was a free night’s accommodation at the Raffles Hotel in Singapore for all passengers flying Suite class. Neat, but hardly enough to justify a 50% premium over first class. Then SIA remembered the people who have made it such a success story in the past, first class passengers and lucrative members of Krisflyer. SIA relented on the bonus miles and began offering 300% bonus miles instead of 10%. Definately a step in the right direction but perhaps too little too late as it is rumoured that a significant number of key SIA customers have defected to Emirates and Qantas. If this is true you can be sure these airlines will make it harder for these premium passengers to leave than did SIA. So what could SIA have done better? Here are 5 things I would have done although, if they had done number one the rest would have been redundant. What else would you have done? 1) Research. Your existing customers are your best source of information. Talk to them, find out what they are looking for and match attributes to their requirements for value. If SIA had talked to its premium passengers and its own government departments, it would have realised that the market could not support the suites product. 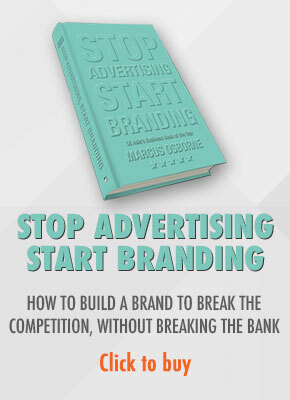 2) Mass market branding with a focus on the 4 Ps is no longer effective. Brands today are built on relationships, access, personalisation and relevance. 3) SIA should have focussed on developing more profitable relationships, not a more profitable product. Brands evolve when companies start buying for customers instead of selling to them. 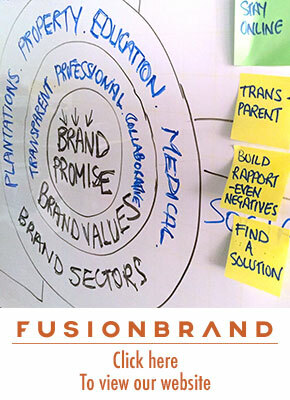 4) Branding is an organisational not a departmental responsibility. And the organisation is the responsibility of the CEO. To expect a passenger to pay a 50% premium over the price of a first class ticket and not offer a limousine service on the ground when all competitors offer it to first class passengers shows a real lack of judgement. 5) Retention is key to brand building. Companies no longer sell a product, customers buy a product. And once they’ve bought the product, companies should do everything possible to hang onto those customers. SIA is a great brand. As I write this, I am sure SIA is working out what to do with its Suites. If SIA aims to meet customer requirements for emotional, economic and experiential value, then the airline will bounce back stronger and better for the experience and the Suites can be written off as a victim of the recession. If they don’t the suites may become yet another branding blunder.